Concept cars you wish existed or will come to life soon! Not that I totally disagree - as it would be very nice if they did - but Acura has become a brand for suburban trophy wives and burgeoning lawyers who have landed their first big windfall, at least in the US. They’re pandering more to that crowd and there is something to be said for knowing your audience. I feel like Toyota though has been trying but blatantly missing the hint. Its like they’ve expected us to be satisfied with the GT86 because something something something RWD. Well yes, its nice, I guess, but Toyota where’s your answer to the Fiesta ST, Civic Si, or Golf GTI? Where’s your Taurus SHO or Accord coupe? Enthusiasts like more practical cars as well. 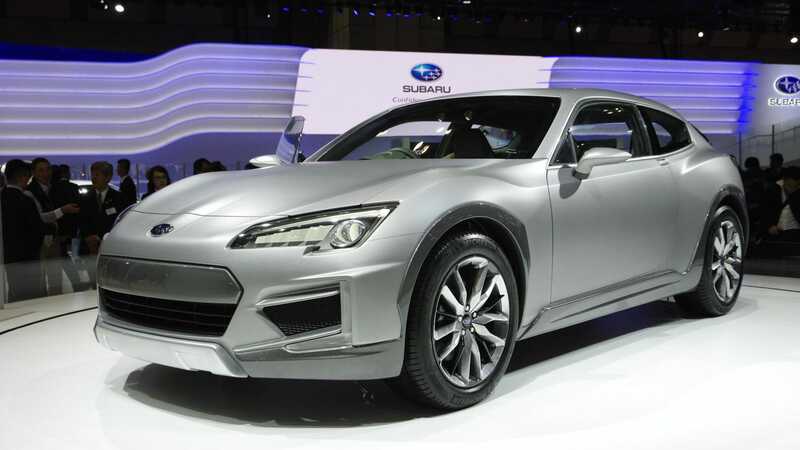 They should’ve made the GT86 a sedan or wagon. Or at least a version of it that is. They could easily placate enthusiasts by offering a new version of the FX16 (or FX18 now) by taking the Corolla S and ACTUALLY making it sporty. Doesn’t even have to be fast. Just fun to drive. Somebody say GT86 Wagon? I know it doesn’t exist but Gib. Disclaimer: I work for GM. This is not an advertisement or spam: more like a senseless rant. I like to peek at the comments when auto manufacturers advertise on FB; nobody is ever happy with the vehicle they’re advertising. One thing I keep reading, is that U.S. companies aren’t offering “what consumers really demand”; a moderately priced (read not Cadillac) large or full size sedan. General Motors offers the Chevrolet SS (a rebadged Holden?) and the Cadillac ATS and CTS. The commenter will respond that he (and let’s face it, it’s always a male) doesn’t want to spend $80K on said vehicle (OK, don’t know how much you were expecting to pay for that Buick); and inevitably something to gripe about the SS. Well, let’s examine this further, shall we? Remember the last few large/full size RWD American Sedans? The Buick Park Avenue, Ford Crown Vic. Where are they? Discontinued! Lack of demand. There are a few enthusiasts, recycling the same police interceptors around via Craigslist and Ebay, but it’s just not enough to sustain an entire market segment (by the way, dominated by the Dodge Charger/Chrysler 300). Evidence of this is found by the fact GM will no longer be selling the SS, since it sold less than 5,000 this, its best selling, year. Personally, I would love for GM to build this Avenir concept; but that’s purely out of self interest as it directly impacts my job. 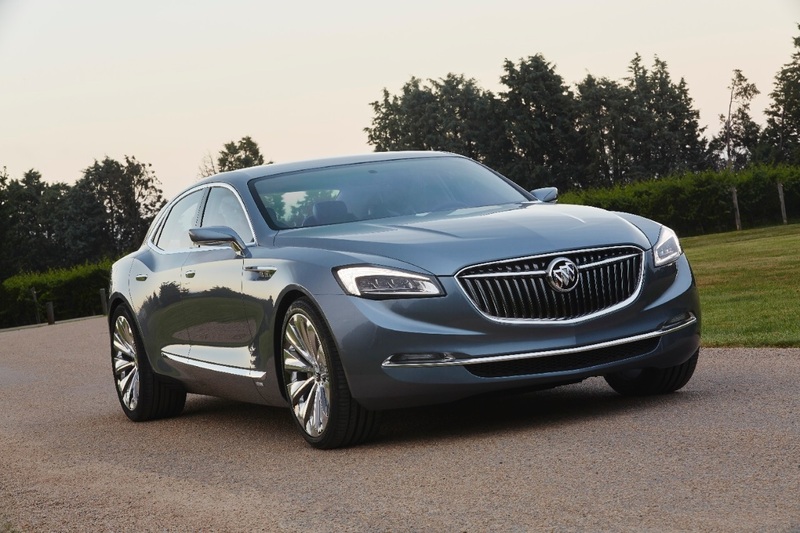 based on the looks, it’s basically a Buick SS? To be honest, if they gave it a sensible range of engines starting with maybe just a 200HP or so V6 then work it’s way up to the corvette engines, it’d probably sell rather well. Grandpa gets a car that reminds him of his younger days, and the enthusiast gets their power. two markets met with one car! Only the loudest and least representative populations write FB comments and car reviews. The bulk of any car company’s customer base probably doesn’t even know the difference between FWD and RWD, and they made that readily apparent with their buying choices in the '90s as you identified. They went with whatever was more practical and more drivable, which is FWD. Pretty much. I really hope consumer opinion turns back to the full size E and F segment sedans though, whatever the drive layout. I loathe to think that someday crossovers may totally corner the market on family cars . We aren’t getting E and F segment cars back, if anything is gonna come back I’d guess it’s the minivan which still is a large part of the family market. Large sedans are just too costly to run and not as practical compared to their competition from the minivan/crossover market. Hope not too soon, though; crossovers are how I feed my family. One more E or F segment would be fine, as my plant is hosting some folks from theirs, giving me too much free time to play video games and post on message boards. It’s like I said in that other thread. Those of us who want those kinds of cars are the ones who either can’t afford a new car, or simply don’t want one. 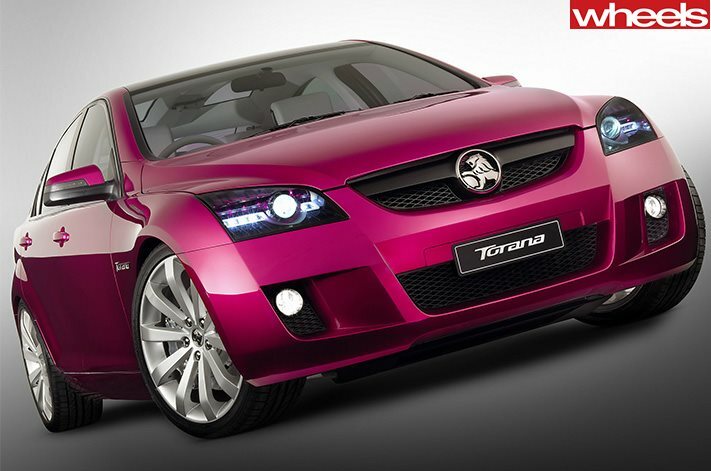 Here’s another one of GM’s concept cars that never made it: the 2004 Holden Torana TT36. Built on a bespoke platform, and powered by a twin-turbo V6, its styling cues clearly inspired the legendary VE Commodore, but the Torana was actually smaller. Had it been built, Holden would have easily beaten the hordes of Euro and Asian imports at their own game. Instead, thirteen years later, they paid the ultimate price for failing to adapt by expanding their ranges in accordance with changing buyers’ tastes. Ironically, the latest ZB Commodore - actually an Opel Insignia - is now a mid-size car, but considering that it is built in Germany (under PSA Peugeot-Citroen ownership, to boot! ), sold in Britain and North America as a Vauxhall and Buick, respectively, and will never be offered with anything more powerful than a normally-aspirated V6 (in Australia only - every other market makes do with a weaker turbo I4), calling it a Commodore feels just plain wrong. Yet another stillborn Holden concept, the Coupe 60, got the axe simply because of the existence of the fifth-gen Camaro, which occupied the same segment. Pity, for the Coupe 60 would have been just as good to drive as said Camaro, if not better. It’s a shame that they didn’t even make a mock-up of it - it would have looked the business and given the imports a bloody nose. Now, months after the last VF Commodores have been built and sold, we’ll only be able to wonder about what could have been. All three would have been too big and expensive to compete with the tC in the event of North American sales. And the American public never really warmed to Australian cars, sales-wise, when they were exported there. Axed at the very last minute when upper management feared that a turbo I4 + hybrid system was not what supercar buyers wanted for propulsion, it was reborn when five examples were built for the James Bond film Spectre, on a tube-frame chassis and powered by the supercharged V8 from the F-Type. I would have preferred it if Jaguar had re-engineered the car to accept that engine, albeit uprated, and mated to a manual gearbox without the bulky hybrid tech - the resulting car would have been a world-beater. In not doing so, they have paid the price for avoiding a repeat of the debacle that surrounded the XJ220 - by permanently handing the niche of mainstream mid-engined British supercar to McLaren on a silver platter for good. For me that’s probably the most beautiful supercar ever made. Magnificent. 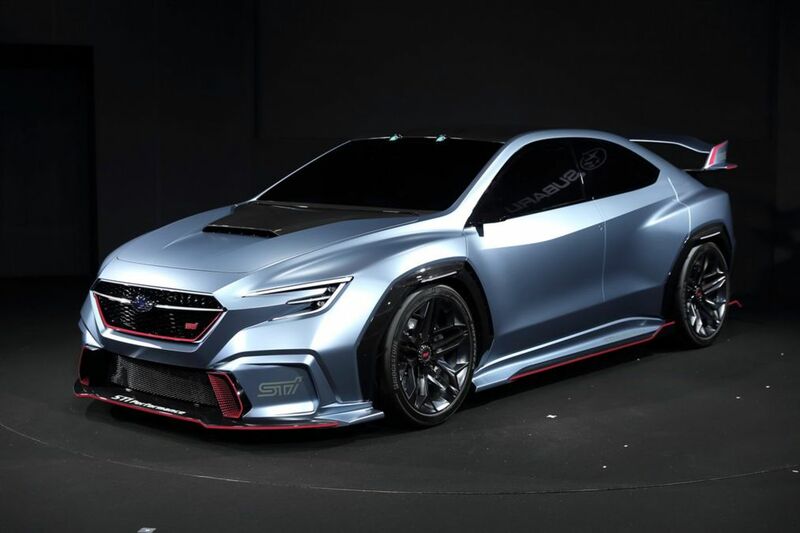 Subaru VIZIV Performance STI Concept - It hints at what the next STI should look like, with even more aggressive styling compared to the original VIZIV. 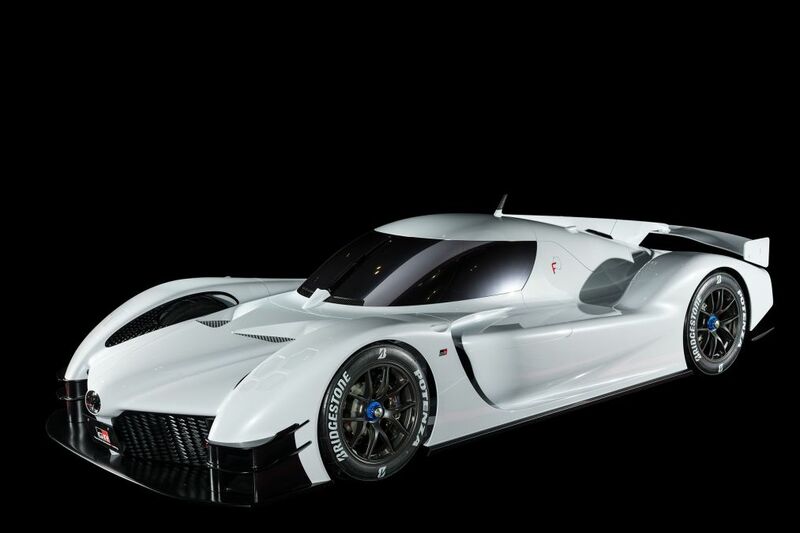 If and when it enters production, it should also provide some much-needed extra performance and handling compared to the current car, to keep it competitive against the likes of the Focus RS, Golf R, and Civic Type R.
Toyota Gazoo Racing Super Sports Concept - Has an actual LMP1 engine under its rear deck and is at least a pair of headlights away from being street-legal. Just by looking at it, it’s clear that this one could serve as a long-awaited replacement for the mythical GT-One, and could give the Valkyrie and AMG Project One a bloody nose. Subarus have never really been known for looking good but that one is fine. Perhaps we are on the edge of a new chapter? 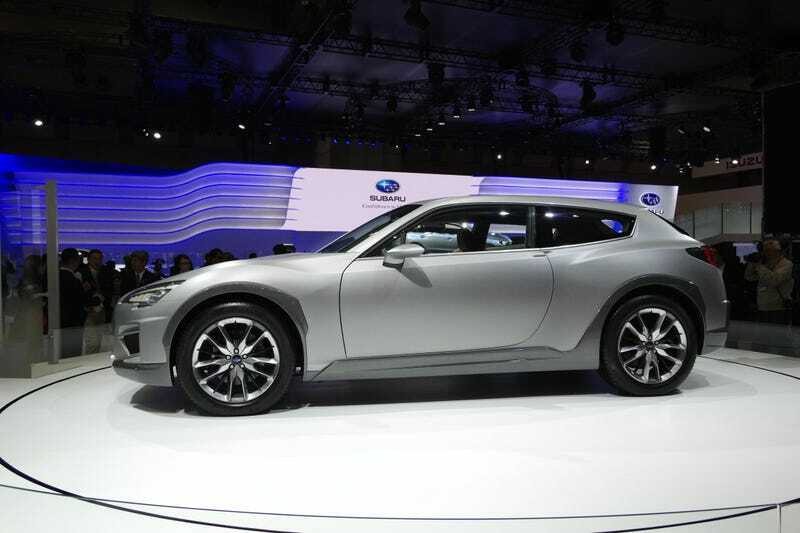 A lightweight, compact, RWD, 2+2 hatchback. It would be nearly goddamn perfect.